A C D/ D V D set including Shania Twain in her early years - when she was performing in Canada as Eilleen Twain. The D V D includes a documentary on the Deerhurst resort and its performers, while the C D contains Eilleen singing 10 songs, including Two Hearts One Love. Eilleen Twain got her first break in the late 80s in Viva Vegas, a legendary Vegas style resort show produced by Brian Ayers at Deerhurst Inn Resort in Ontario, Canada. This D V D brings revealing interviews with former cast members and music veterans of that era, taking you back to Eilleen s roots along with footage of her heartfelt renditions of Somewhere Out There and Somewhere Over The Rainbow. 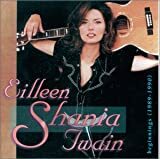 The bonus C D, Eilleen Twain: Beginnings 1989-1990 features ten re-mastered songs from Shania s early career. 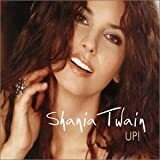 The tracks are just what the title indicates: the beginnings tunes intended to be used as demos to help draw attention to a young and struggling singer who would become a country diva known and loved around the world. These are more rock, power pop, and adult contemporary than country, fitting into the late 80s just as they should have when they were recorded.